Faced with sourcing a birthday cake to cater for two vegans (no eggs or dairy), someone who cannot eat gluten or refined sugar (so flour and sugar are out) plus an oven-less campervan kitchen, I was a bit stumped. So, I looked up, “no cook, vegan, sugar free, gluten-free cake” online and incredibly such a thing exists. You can even make it in your campervan kitchen. The biggest challenge was how to decorate it without using sugar – just about anything you can buy to put on a cake contains it. Looks pretty good with fresh fruit embellishing it though, eh? It really didn’t take long and the end result was nothing like any cake I have ever tasted before. But nonetheless it was thoroughly appreciated and enjoyed by all. 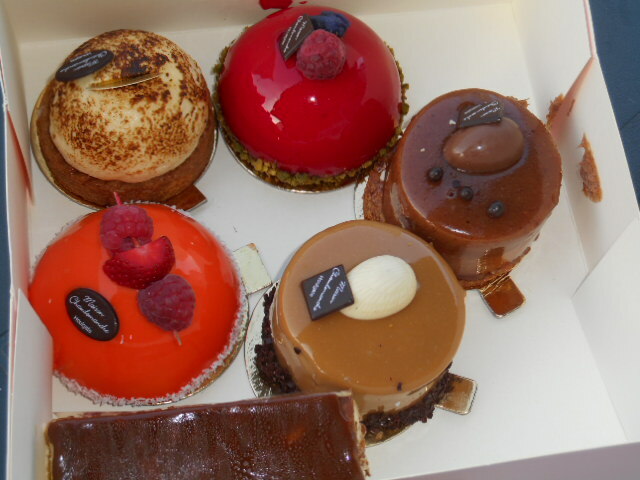 Why choose one cake for five people when you can choose five cakes instead?! Gluten Free, Vegan, Refined Sugar Free. Serves 6. *Note: The figs and dates in this recipe need to be very moist so you can chop and blend them easily into the other ingredients. They should be pre-soaked and then strained. You can either place them in a bowl and pour boiling, or very hot, water over them and let them sit for 30 mins, or if you want to keep the recipe totally raw, then just place them in a bowl and cover with water and let them sit for a few hours until they are nice and soft. Make sure you remove any hard stems and stones prior to soaking. Chop the figs and dates very finely until they look pureed (if you happen to have a hand blender use that). Transfer all ingredients into any suitably shaped and lined container** and press down firmly and evenly to form the cake into shape. Place in the fridge for at least 3 hours to let it set and chill or in the freezer for at least 1 hour (freezing it makes it easier to turn out). Remove from container by turning out onto a plate – carefully, as it can stick to the sides a bit (careful loosening will prevent any cracks appearing in the cake). Before serving, dust cake with some additional cacao powder and decorate however you like. ** The best container to use would be a 6″ spring-form cake tin but you can make it in any similar size dish (like a Tupperware container or mixing bowl). Whatever you use, just make sure you line it well with cooking paper first so that you can remove it easily when ready. I’m working on a blog all about how to celebrate a birthday on a campervan trip and will add it within a couple of weeks – just like anything else you choose to do on an RV trip there are lots of options. 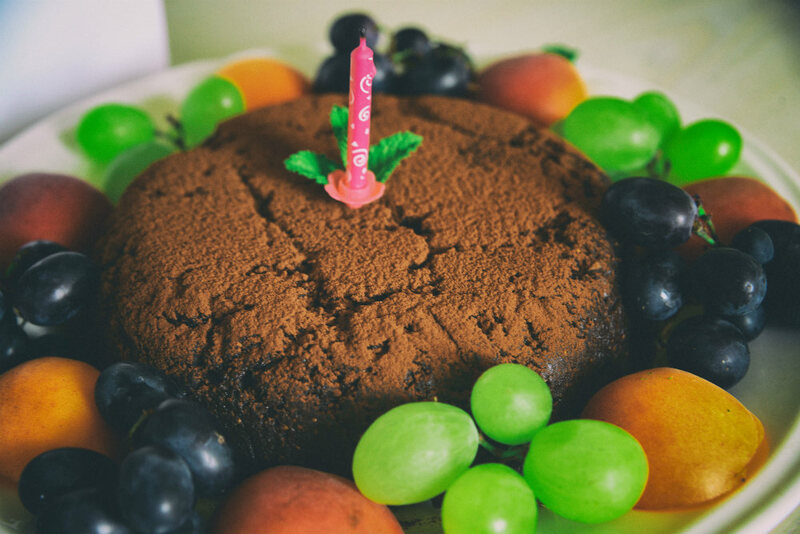 We are happy to help guide the way to planning a great birthday surprise if someone in your hire party has a big day to celebrate during your motorhome trip. ← Let’s talk about snails baby!